Baby fine hair is cute on babies, but if you still have it, you can thicken it up. Baby fine hair is simply hair that has thin strands. Each one has a small diameter, which can make it appear flat and thin, as though you actually have less hair. Very fine hair tends to be delicate and reacts more strongly to heat and chemicals, which can make styling a challenge and hair colors and dyes a disaster. You can texturize fine hair without harsh chemicals or unsafe heat to get the look you want. Wash your hair with a texturizing shampoo. These are generally formulated to strip away any oil and product residue on your hair and coat it with proteins that will make the strands appear thicker. Rinse your hair well but not to where it squeaks when you run your fingers through it. Apply a quarter-sized dollop of volumizing conditioner to your palm and smooth it into your hair with both hands. Coat your hair from scalp to ends and let the conditioner sit for two or three minutes. Rinse it well with cool water. Wrap your head in a towel and let the towel soak up most of the moisture. Don’t rub, wring or twist your hair because this can cause split ends and breakage. 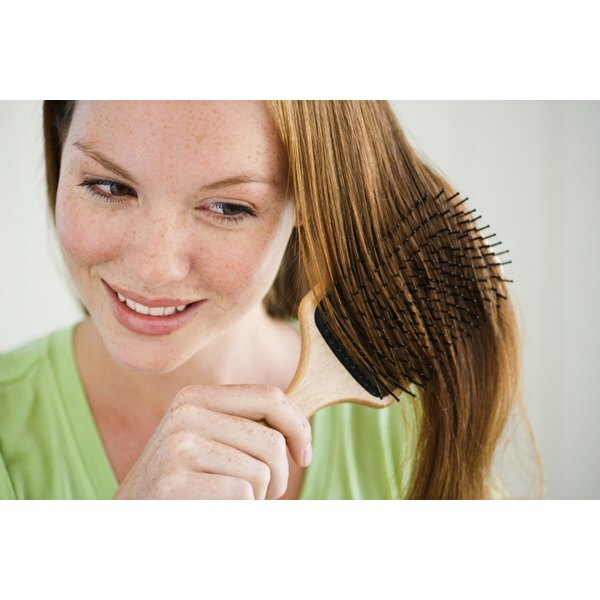 Remove any tangles with a wide-toothed comb, working from the bottom up. Avoid tugging or pulling and work in small sections at a time. Baby fine hair breaks easily so don’t brush it when it’s wet. Apply a root lifter to your scalp and work it gently in with your fingers. Turn your head over and blow dry just the roots on the lowest setting. Always use low heat on baby fine hair and handle it gently to avoid breakage. Rub a dime-sized amount of texturizing wax or putty between your palms to emulsify it. Comb this through your hair loosely; don't try to coat every strand. Scrunch and separate your hair into loose, natural chunks as you go. Use the blow dryer on its lowest setting and the fingers of your free hand to dry your hair the rest of the way, scrunching and lifting it from the roots. Spritz a little bit of spray wax onto your hair to help it hold its new volume. Avoid perming or straightening baby fine hair because it reacts more sensitively to chemicals than thicker hair. Exploratorium: What Is Hair Anyway?